Welcome to the Tees Archaeology website. This page will be kept up to date with the latest news and events. Please browse the rest of the site for more in-depth information on our activities and the heritage of Hartlepool and Stockton-on-Tees. If you would like to be added to our mailing list please contact us at teesarchaeology@hartlepool.gov.uk. Tees Archaeology maintains a record (Historic Environment Record, or HER) of all the known archaeological sites in Hartlepool and Stockton-on-Tees. You can now view summary data from our HER here. 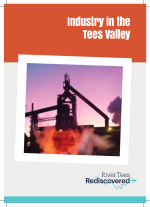 We have a new booklet hot off the presses, Industry in the Tees Valley by Alan Betteney. You can download a pdf from our Downloads page or here. Our full range of archaeological booklets are available as free pdf downloads. 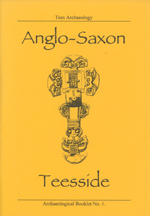 These include the now out of print Anglo-Saxon Teesside booklet. Other booklets in the series cover the Iron Age, Roman, Viking and Medieval periods. The booklets are designed to give an overview of each period and are aimed at the general reader. Other recent booklets include 'Hunting the Hunter-Gatherers: Mesolithic Teesside'. 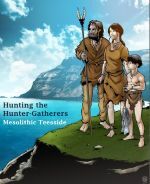 This brings together information about the first people of Teesside during the Mesolithic Period (around 10,000 - 4,000 BC). The booklet is aimed at the general reader and a series of reconstructions have been produced by local artist Nigel Dobbyn. You can download it free here and we have copies avaliable for sale in the shop. Please visit our Downloads page to see what else we have to offer. There will be a short series of talks by Tees Archaeology at Preston Park Museum, Stockton-on-Tees this Spring. Each talk will start at 10.00am and booking through the museum is essential. To book please ring Preston Park Museum on 01642 527375, further details here. 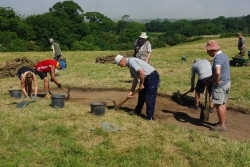 We have updated the web page for the River Tees Rediscovered Community Archaeology Projects with reports for fieldwork at Piercebridge and Eryholme. We also have a page for the Skelton Townscape Heritage Scheme available, take a look! 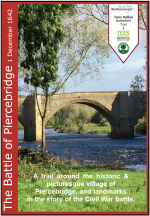 If you are tempted to go for a walk now that spring is around the corner, try the Battle of Piercebridge Trail created by Phil Philo (about an hour long).